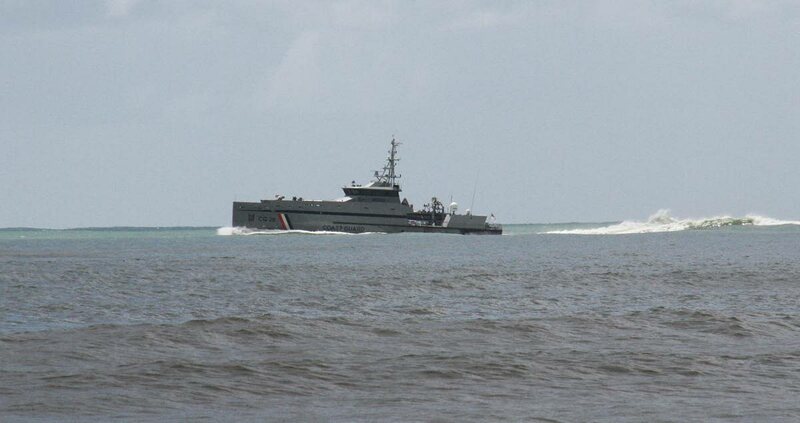 File photo: A Coast Guard boat off the coast of Erin. PHOTO BY ANIL RAMPERSAD. Newsday spoke with Jones this morning during the opening ceremony of a workshop on Private Security Companies, at Customs House, Ajax Street, Port of Spain. He said in the wake of the abduction of five TT fishermen by Venezuelan pirates, last month, more resources should be directed to protect country's maritime borders. "We're working collectively on a maritime strategy not only to address the issue of piracy or armed robbery but essentially, the maritime environment is one which is critical importance to the entire region. We use it for food, transport, in your (Trinidad's) case you all have offshore platforms for the oil sector, so the protection on the marine environment is even that much more critical." Citing TT's participation in military training exercises for Operation Tradewinds in 2017, Jones said there were simulations which tested the coast guards' preparedness for defending offshore oil platforms and repelling attacks from pirates. Reply to "Caricom Director: More maritime protection needed"